Speed. Security. Superior customer service. Need you ask for more when it comes to a hosting provider? WP Engine claims to be the best at managed WordPress hosting and many WordPress users will certainly agree. Let’s see what is so great about this hosting provider, and if you hang tight all the way to the end, you will be in for a great surprise! WP Engine is one of the most popular managed hosting providers there is. With over 30,000 customers spanning 120 countries using them it is safe to say that they are definitely one of the top choices. An excellent hosting provider must optimize your website to perform at its maximum. Your visitors do not want to wait around for your website to load. WP Engine delivers speeds that are four to six times faster than other providers using its front-end technology specifically designed to scale with your increasing traffic loads. With thousands of hand-crafted and perfectly created rules, your site will always render at the fastest speed possible. What’s more, the expert engineers are always one step ahead. Constantly auditing and adjusting these carefully designed rules, the team at WP Engine is always releasing ways to top out your website’s speed. 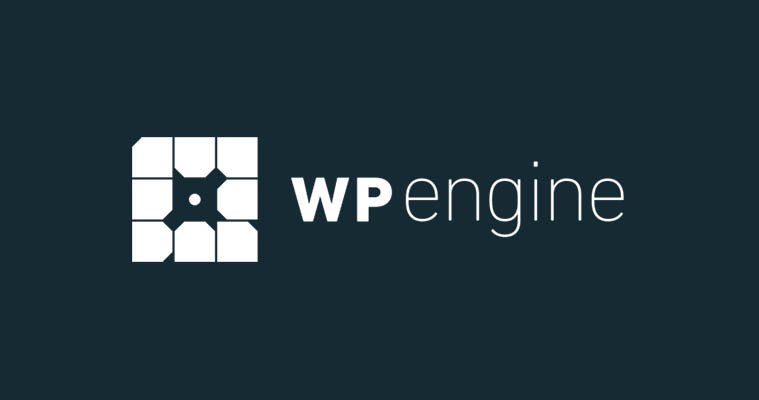 In addition to the front-end technology boasting high performances, WP Engine uses the built-in EverCache system so you never need a caching plugin on your site again. Automatically refreshed as needed and capable of being cleared at any moment by you, EverCache puts your website ahead of the rest. Lastly, WP Engine has recently partnered with NetDNA to offer CDN services as part of their many available plans. Protecting your website from data loss, hackers, and wasted resources should be a priority if you want to make the most out of your website. Even with all of these security measures in place, sometimes disaster strikes and someone sneaks in and makes a mess of your site. Don’t worry though, WP Engine will fix it. For free. There is nothing worse than bad customer service and support when you need it most. Your website is important to you and it should be important to your hosting provider as well. At WP Engine, customer service is a passion that is not taken lightly. In fact, this is one of the key traits they feel sets them apart from the rest of the hosting providers available to WordPress users. The Technical Support team at WP Engine is available day or night and all year round. Give them a call, shoot them an email, even strike up a live chat conversation and get all of your questions answered. No, not just hosting questions; all of your WordPress questions will be diagnosed with recommendations to follow. Now that’s a great service if you ask me. With continual training and education on all things WordPress related, especially when it comes to hosting services, the team of WordPress experts at WP Engine can be counted on to help you. Plus, they are always on the lookout for feedback so that they can become even better hosting providers. Admitting a mistake and fixing it is an A+ trait to have as a company. WP Engine knows they are not perfect but are always striving to be by actively listening to their greatest asset: their customers. For those websites scaling even higher than the above plans there are the Premium and Enterprise plans available offering things such as 150 WordPress installs, millions of monthly visits, hundreds of GB of local storage, and unlimited data transfer. With speed, security, and superior customer service at the forefront of their business values, no matter what you think, WP Engine is a tough hosting provider to beat. On top of that, their pricing levels are super competitive amongst the competition making them that much more appealing to those looking for a good managed hosting provider. Okay, so as I promised above, and since you stuck around until the end (thank you!) here is your special surprise. For being such loyal readers we are giving you the chance to use any of WP Engine’s hosting plans at a reduced rate! Simply use the code db33 at checkout at get an additional 33% off what are already great deals. If you decide to purchase use our link, contact us with your id, and we’ll give you 2 themes of your choice for free (including support & regular updates). That was worth it right? I think so! Now go check out WP Engine for yourself and save some money while you are at it. WPEngine is a powerful Managed WordPress Hosting. Use our exclusive WPEngine coupon to get 33% off on all plans (+ free access to 2 premium themes of your choice).